Proper regulation on Muslim prayer rooms and the people who lead their congregations will eliminate the possibility of extremism in Malta, according to Bader Zeina, spokesperson for the Malta Muslim Council. 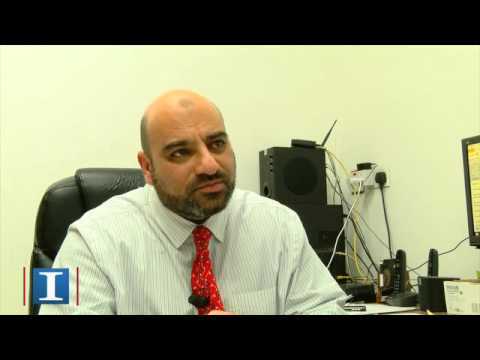 Mr Zeina also believes that another mosque is not necessarily the solution for Malta’s Muslim community. The prayer rooms, he says, serve not only as places of worship but also as a form of classroom for educating newcomers to respect Malta and its laws, traditions and practices. Neil Camilleri writes. Mr Zeina was referring to a story published recently by The Malta Independent, which quoted government sources as saying they favoured a second mosque, rather than several prayer rooms to avoid the possibility of undetected extremism. Mr Zeina says the answer is regulation. “I do not agree that if we have prayer rooms across the country it will lead to extremism. They should be regulated. We, the people who run these places, have to be regulated. If we are in constant contact with the state and the government knows who we are the possibility of extremism will be completely eliminated. The best option, he said, was to have small prayer rooms at a community level, pointing out a recent example of cooperation which saw the Mater Dei management give permission for the hospital’s multi-faith room to be used for Friday afternoon prayers. Mr Zeina also insists on the need for a study on the needs of the growing Maltese Muslim community. Asked what was keeping the Muslim community from buying a piece of land and applying for the necessary planning permits Mr Zeina said it did not make sense to spend a fortune when it was clear that the application would be refused. The feeling that the planning authority was being “unfair” to the Muslim community has its roots in the prayer rooms saga, which has now been going on for around 20 years. It was the main reason which led to the controversial Msida open-air prayers. Mr Zeina explains that the problem started back in 2001. He says a number of places had to be closed down because they lacked the necessary permits. But he insists that this was not the community’s fault. Part of the blame, he says, has to be attributed to the planning authority. MEPA, Mr Zeina says, has not been particularly helpful to the Muslim community. He pointed out that Muslims need to have a place to congregate for prayers. All prayers are supposed to be held in congregation but exceptions can be made. However, there is no exception for Friday prayers. Mr Zeina continued that MEPA eventually refused permission for the Santa Venera house because of the council’s objections. An appeal was filed and the group started meeting in a property in Msida until a decision was made. MEPA came knocking again and gave them 15 days to vacate the building. After another place was evicted by MEPA, the Malta Muslim Council decided that the only option was to pray out in the open. The group chose to hold prayers in Msida, in an open area near the parish church. The rest is history. A ray of hope emerged in the past few days following a meeting between the Malta Muslim Council and three government ministers – Helena Dalli, Owen Bonnici and Evarist Bartolo. Muslims will for now be praying at the Ospizio site in Floriana but the government has “expressed strong signs of will to find a permanent solution,” according to Mr Zeina. Why do people fear Islam? Mr Zeina appealed to all Maltese, whether Christian, Muslim or non-religious, to work together for the betterment of the country.